The Rattle is only 57 minutes long but the Tilson Thomas is over 62 minutes! Has anyone here heard this yet? I've been totally blown away by this performance. It's uneven in spots but has a spontaneous and natural feel to it unlike any I've heard before. The 4th was never my favorite Mahler piece but hearing this performance has let me hear it in a whole new way. When they take this recording down off the web site, I know I'm going to miss it and need to find a new recording for my collection to replace it so I've been researching what might be a good one to have. Would love to hear what any of you think of this. Had a listen to this earlier. 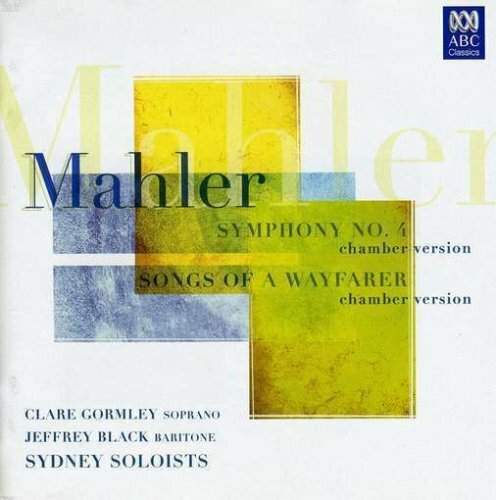 Its certainly quite a graceful performance and is mostly well played and sung, however i like a bit more clout in my Mahler and i think it loses some momentum in places which really affects it. Theres some good recommendations in this thread so have a read through and see if you get any inspiration from there. Also check out the 5 accounts Becca posted. I have since got one of these as its an excellent 4th (but i still prefer Honeck). Have a listen to a few different ones on youtube too. Thanks for the heads-up on this one, though. Last edited by Merl; Nov-19-2018 at 21:26. Incidentally, Thomyum2, if you like that LAPO account you will definitely enjoy Janson's vision of Mahler's 4th. Its a live version with the RCO. Jansons isnt always succesful with Mahler but i greatly enjoy his 1st, 4th and 5th from this set. Give it a try and see what you think. I am listening to it at the moment. Let me start by saying that I think highly of MG-T and think she will become one of the really good conductors ... in 15 or so years, but this Mahler 4th, so far, is disappointing. The first movement is marked Bedächtig, nicht eilen - moderate, do not rush, but her 1st movement has to be one of the fastest that I've heard so she misses quite a bit *. The problem is generally that so often M4 is talked about being Mahler's sunniest work, but that is only a superficial view. Admittedly it isn't anything like (e.g.) the 6th, but it is important to remember that in the second movement, the concertmaster plays a violin tuned higher than the rest of the orchestra and that was an inspiration from the Bocklin's painting Self-Portrait with Death playing the Fiddle - not exactly sunny. Into the 3rd movement now and she is really slowing down. Last edited by Becca; Nov-19-2018 at 21:20. - As the second movement started, I felt that she had found a better tempo in keeping with the 'ohne hast' marking although at times I felt that she sped up too much. While more successful than the first movement, it didn't really convey the sinister shadows and contrasts. Not enough of the Brothers Grimm. - I know that tempo isn't everything, the choices are significant and her third movement was as much slower than the average as her first was faster. It didn't quite get to the point of falling apart, but it was a close run thing at times! - The last movement was of a par with the rest and, to be honest, I didn't much care for the soloist, either her voice or the way she glossed over some of the subtleties particularly towards the end. So overall, I would give it a B, the type of performance that you would enjoy in the concert hall and yet still feel that something was missing, things which I have every expectation she will figure out with experience and maturity. For now she seems to be suffering from a mild case of young conductors syndrome, i.e. a tendency to pull and push a bit too much, too fast and too slow. Just stumbled across this on Amazon and it seems pretty obscure. Last edited by Fritz Kobus; Dec-30-2018 at 05:28. Last edited by Fritz Kobus; Dec-30-2018 at 06:30. I was beginning to think that Jansons does almost always get Mahler right and can't think of a symphony that I know him in and don't place him among my favourites. Of course, his is not the only way with Mahler .... . It would be good to get your take on the ones to avoid him in. 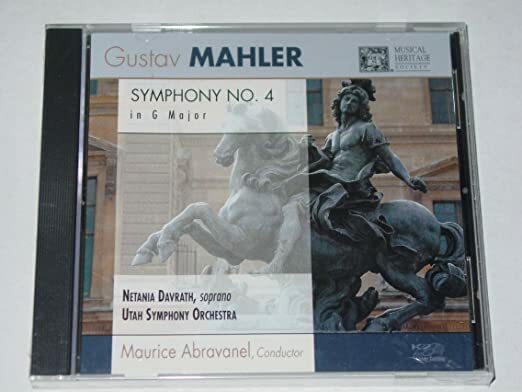 So I finally started listening to my Abravanel Mahler cycle that I got on digital download for the ridiculous price of 99 cents and came to #4 and really like the singer, Netania Davrath. Davrath had an appealing timbre, recording what is arguably the definitive version of Canteloube's Songs of the Auvergne, in which her fresh, childlike voice is used to great effect. These self-same qualities make her an ideal soprano for Mahler's 4th. I have those Jansons performances and tbh there's not a dud amongst them. The 2nd, 4th and 6th are all very good (but i prefer his excellent 6th with the LSO). I'm not bothered about his 8th as i dont like the symphony but critical consensus is that it's a superb account. I rate his 3rd highly, as its one of the only accounts that make sense of a far too long-winded symphony. The real joys , though, are a joyful 1st, a spirited and consistently satisfying 5th and a terrific 7th. I don't have the 9th from this set so i cant comment. Thanks, Merl. I concur with all that 100%. I've heard the 9th and found it pretty good, too. Mirga did Mahler 4 in Birmingham a couple of years ago. Instead of a soprano soloist for the final movement she had three boy trebles. Truly, a child's view of Heaven. She positioned the boys where they could see her and she mouthed their entire part whilst directing the CBSO. Perhaps I am being too pedantic but my feeling is if that's what Mahler wanted, that's what he would have written. All times are GMT +1. The current date and time is Apr-24-2019 22:54.